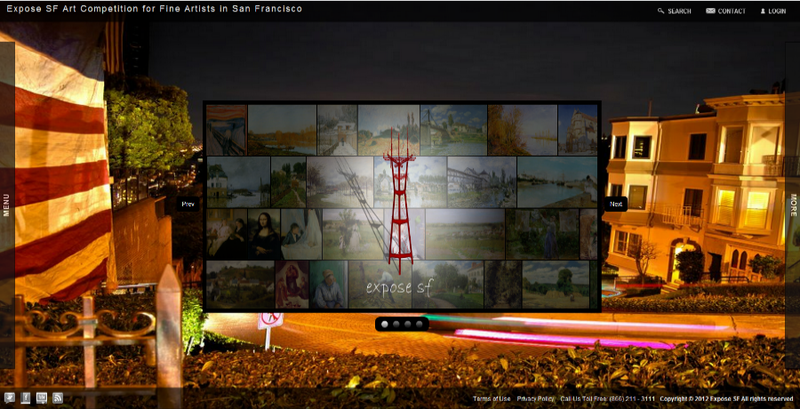 As part of a larger marketing and PR initiative devised by the US SEO SEM team, we created the Expose SF Art Competition. Through this organization, one of our clients has been able to generate a large amount of publicity by showing its support of fine and visual arts in the San Francisco Bay Area. Our staff spearheaded this project's idea generation, website design & development, press releases & public relations, and search engine optimization. 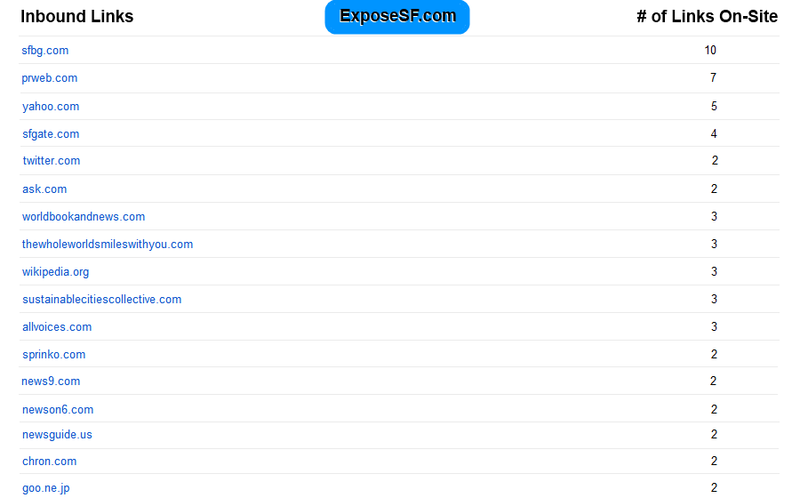 US SEO also handled Expose SF Art's Twitter and social media. After several months, the inititiative generated a significant amount of buzz and more than 3,000 Twitter followers. 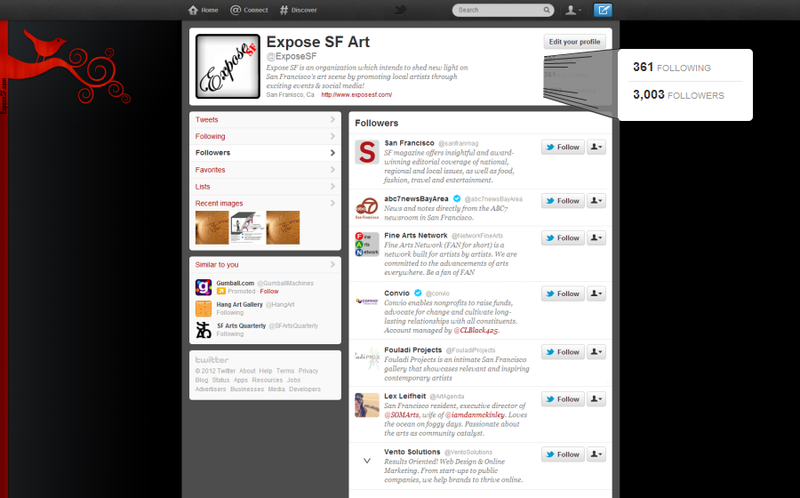 Through the use of several PR & inbound SEO techniques including press releases and strategic alliances, Expose SF Art gained hundreds of inbound links. These include recognizable publications such as the San Francisco Chronicle, the Boston Globe, CBS MoneyWatch, the San Francisco Bay Guardian, Yahoo News, and more. As this initiative is primarily an art promotions company for the San Francisco Bay Area, it was important for our team to drive location-based traffic. 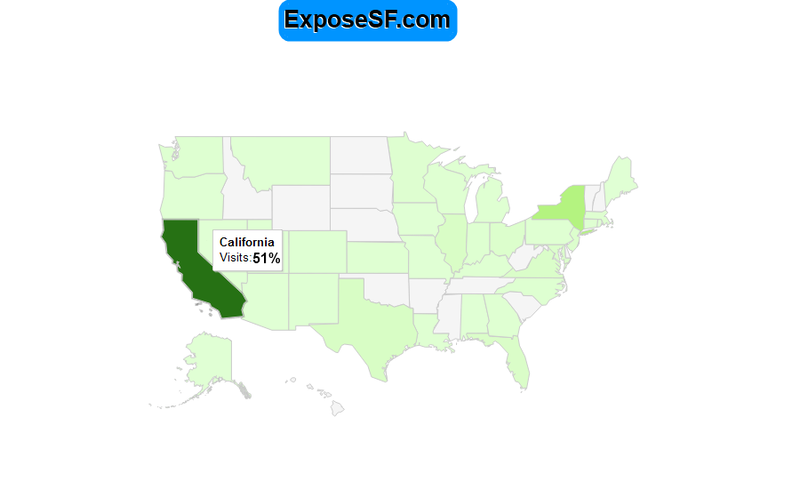 Although Expose SF Art brought in web traffic from across the country, US SEO was able to maintain a strong foothold in California with more than 50% of all traffic coming from visitors in-state.